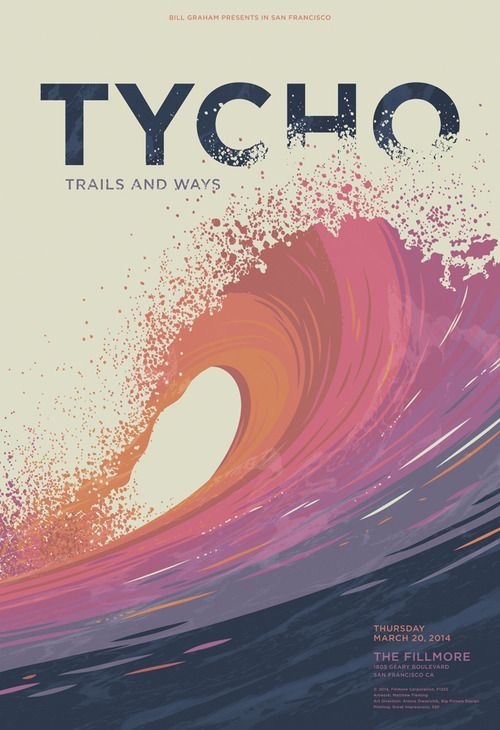 Tycho Poster Shows Colorful Waves. Inspiring – especially if you live in a hot country near the beach! Via. Further Information // All the images shown within this post are © Copyright their respective holders. This post was written by myself, Andrew Kelsall BA (Hons), a Graphic Designer & Illustrator from England, UK. I am available for hire for Print & Web Projects. You can hire me for Church Logo Design, Business & Charity Logo Design, Christian CD Sleeve Design (and CD Design) & custom Print Projects such as Poster Design. I also author Andrew Kelsall Logo Design, Truth by Design and Paper Art Love. I also sell Christian Tshirts and other Prints & Apparel over on my main Kelsorian Store. You can also find my prints over on Society6 and Threadless. Follow me on Pinterest, Dribbble, YouTube, Instagram, Behance, and Design Soak on Twitter, too!